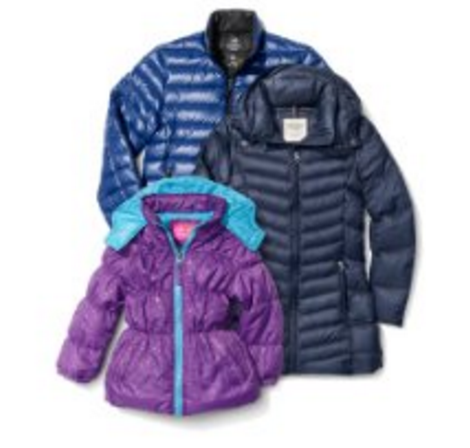 TODAY ONLY (11/29), Amazon is offering a whopping 75% off or more on winter coats, jackets and snow pants for the whole family. Price start from just under $12. Remember: This sale is good TODAY ONLY and WHILE SUPPLIES LAST — which means the best deals will sell out very quickly and pricing information may not stay current as items sell out. Snow pants and bibs for boys and girls for under $12! Grab them now before the season starts! Girls puffer jackets for just over $12! WOW! And how cute is this polka dot girls trench coat for under $14 (available in four colors). Perfect Shabbos jacket! Check out these Extreme Baby Boys Snow Suit & Coat Sets for under $22.. If your husband needs a new winter coat, check out this down puffer one!